‘One size fits all’ is not a viable hiring strategy and in order to tap promising flexible talent, companies need to cultivate flexibility in their own outlook on how, where and when high-quality work is delivered. In India, we are seeing some interesting developments. Since the beginning of this year, we at Flexing It™ have seen increased interest from companies looking at flexible talent as an option to solve multiple problems: finding and retaining quality talent, maximizing productivity across teams and locations, and cultivating an agile cost structure while doing so. 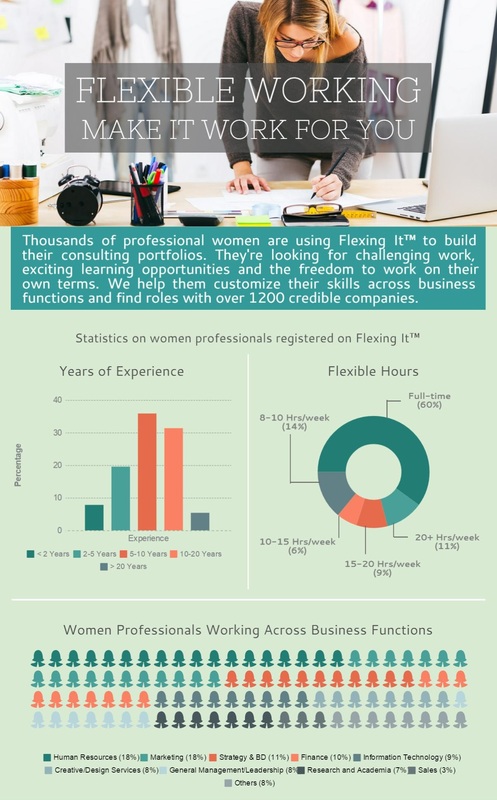 To view, the latest statistics on independent professional women registered on Flexing It™ and explore flexible roles for women, visit us at www.flexingit.com.